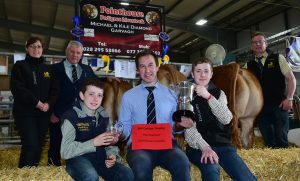 Previously contested for in the Royal Show Tidy Lines competition, the revitalised Bill Callion Trophy was up for grabs at the recent 150th Anniversary Balmoral Show. 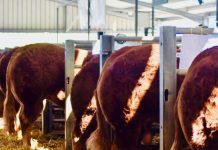 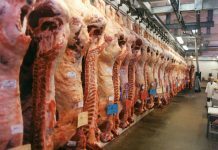 Judged in secret over the duration of the show, stock handlers were evaluated on the organisation of their cattle stalls, their interaction with the animals and other breeders and their general attitude and demeanor. 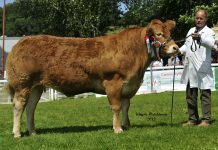 Having been revealed as the judge, Jim Scott of the Ardigon herd, Killyleagh, Co Down, from who Bill bought one of his first Limousin cows, was looking for someone with high standards, a shining example of a Limousin handler. 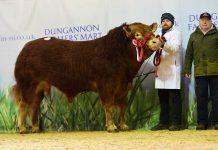 Against some fine competition, he picked out Young Limousin Breeder Kile Diamond of the Pointhouse herd, Garvagh, Co Derry as his deserved winner. 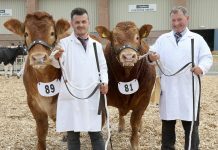 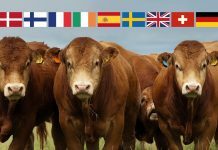 The trophy is set to rotate around the ‘major’ shows in order that Limousin exhibitors from all over the UK have a chance to demonstrate their stockmanship skills. 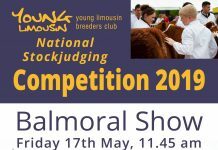 Bill Callion, a former Society Chairman, started the Lodge herd, now run by Ian and Wendy in Stirling back in 1980. 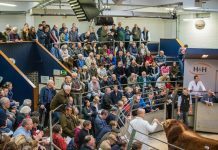 One of his grandsons James runs the Melbreak herd in Co Tyrone with his wife Alison and their sons, Thomas, Angus and Toby. 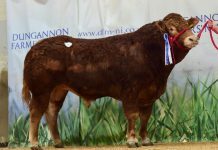 Another grandson Mark runs the Middlegate herd of Limousins in Workington, Cumbria. 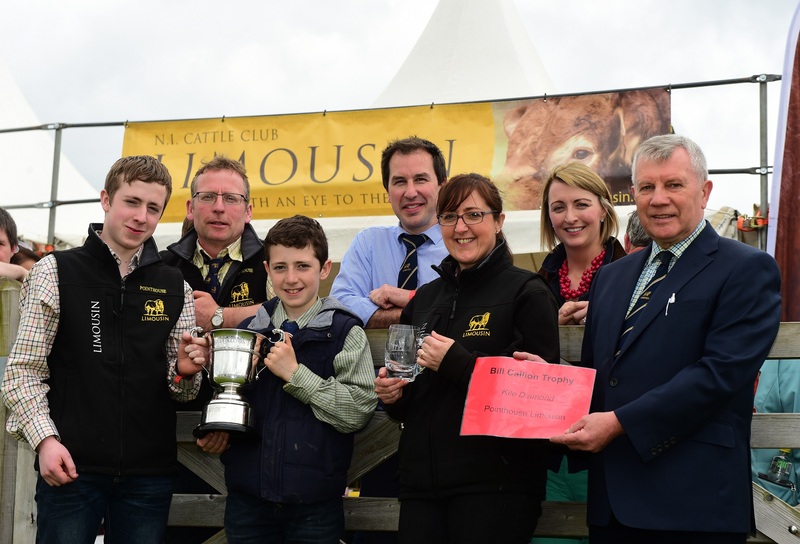 Kile took home the magnificent trophy and £100 cash prize from James and Alison Callion.